COLUMBUS, OHIO (April 5, 2018) – (RealEstateRama) — The Rose Center for Public Leadership, jointly operated by the National League of Cities (NLC) and the Urban Land Institute (ULI), is working with Mayor Andrew J. Ginther to advise the City on a strategy to ensure its neighborhoods include housing for people with a broad spectrum of incomes as Columbus continues to attract new investment and residents. Columbus is in the midst of a sustained period of urban revitalization, having seen significant growth in residents and jobs over the past decade supported by strong investment in its Downtown and core neighborhoods. But real household incomes fell on an inflation-adjusted basis during the Great Recession and have yet to recover to their 2008 levels, making housing affordability more challenging for many households. In addition, though some neighborhoods have recently seen significant revitalization, others still struggle with attracting new investment: the Columbus region was ranked the 5th-most segregated large metro area by income by the Martin Prosperity Institute, indicating there is more that can be done to ensure that its economic prosperity is shared by all. The City has selected an area including parts of the Near East, Near South and South Sides that is representative of Columbus neighborhoods left out of the recent wave of growth and revitalization. Adjacent to Downtown, German Village and Merion Village, the selected area is where new investment appears to be on the horizon and serves as a place to plan for, and examine potential policy changes to implement a mixed-income neighborhood strategy. Bound by East Main Street on the north, Alum Creek Drive on the east, Frebis Avenue/Whittier Streets on the south, and Parsons Avenue on the west, the study area has been losing residents, and nearly one-third of its housing stock is vacant. Median home values ($75,000) are only just more than half as much as citywide, as is household income ($25,175 compared to $47,000 citywide), making its residents susceptible to displacement when new investment comes. The Rose Center’s mission is to encourage and support excellence in land use decision-making by providing public officials with access to information, best practices, peer networks and other resources to foster creative, efficient, practical and sustainable land use policies. Each year, the center’s Daniel Rose Fellowship program invites the mayors of four large U.S. cities to select a team with land use decision-making authority to receive technical assistance on a local land use challenge. This year’s fellowship class is from the cities of Columbus, Ohio; Richmond, Virginia; Salt Lake City, Utah; and Tucson, Arizona. Mayor Ginther’s team includes his designated Rose Fellows: Mayor’s Deputy Chief of Staff for External Affairs Dawn Tyler Lee, Department of Development Director Steven Schoeny, and CASTO Communities President Brent Sobczak, who are assisted by project manager Mark Dravillas, assistant Planning Division administrator at the Department of Development. They will be joined by a panel of visiting experts assembled by the Rose Center. Lev Gershman, managing partner of the San Diego-based real estate investment firm Tideline Partners. Nick Norris, Planning Division director at the Salt Lake City, Department of Community & Neighborhoods. Christopher Coes, director of LOCUS: Responsible Real Estate Developers and Investors at Smart Growth America in Washington, D.C.
Mayor Ginther and his team will brief the panel, who will then tour the study area and meet with community representatives and advocates, business and civic leaders, and other stakeholders who will share their local knowledge and perspectives. Drawing upon their professional expertise and experience, the panelists will apply the information gathered during the visit and present recommendations for how the city, its partners and stakeholders can achieve their goals. Columbus’ expenses to participate in the program—including the panel’s visit—are underwritten by the Rose Center to ensure objectivity during the process. The Daniel Rose Fellowship is the flagship program of the Rose Center, established in 2008 by the ULI Foundation Governor Daniel Rose. The purpose of the program is to provide city leaders with the insights, peer-to-peer learning, and analysis needed to successfully improve their cities. The fellowship’s program of work includes a study tour of another U.S. or foreign city, working retreats at NLC’s and ULI’s national conferences, and panel visits to each of the four fellowship cities. The cities of Anchorage, Alaska; Austin, Texas; Birmingham, Ala.; Boston; Charlotte, N.C.; Denver; Detroit; Grand Rapids, Mich.; Hartford, Conn.; Honolulu; Houston; Indianapolis; Kansas City, Mo. ; Long Beach, Calif.; Louisville, Ky.; Memphis, Tenn.; Minneapolis; Nashville, Tenn.; Oakland, Calif.; Omaha, Neb. ; Philadelphia; Phoenix; Pittsburgh; Portland, Ore.; Providence, R.I.; Rochester, N.Y.; Sacramento, Calif.; San José, Calif.; Seattle; Tacoma, Wash.; Tampa, Fla.; and Washington, D.C. have participated in the previous eight years of the program. NOTE TO EDITORS AND REPORTERS: Representatives of the Rose Center will make a public presentation with preliminary observations and recommendations from 9-11 a.m. EDT on Friday, April 6 at the Michael B. Coleman Governmental Center, 111 N. Front St., in Room 204 (Hearing Room). The Urban Land Institute is a nonprofit education and research institute supported by its members. Its mission is to provide leadership in the responsible use of land and in creating and sustaining thriving communities worldwide. Established in 1936, the institute has 40,000 members worldwide representing all aspects of land use and development disciplines. 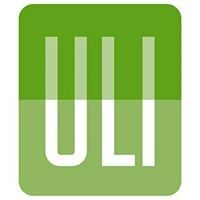 For more information, please visit uli.org or follow us on Twitter, Facebook, LinkedIn, and Instagram. Columbus is the 14th largest city in the U.S. with a population of 860,000. Through its open-minded approach to life, business and ideas, Columbus has cultivated an environment of unique communities, companies, institutions and entertainment. Columbus is one of the fastest growing major metropolitan areas in the country and celebrated as one of the strongest metros in the country for job creation. The city supports a workforce that’s younger and more educated than the national average. In addition, its smart, open and inclusive nature is matched by diverse economy that offers a variety of career paths.